We're all here because of people who met and fell in love in the past! 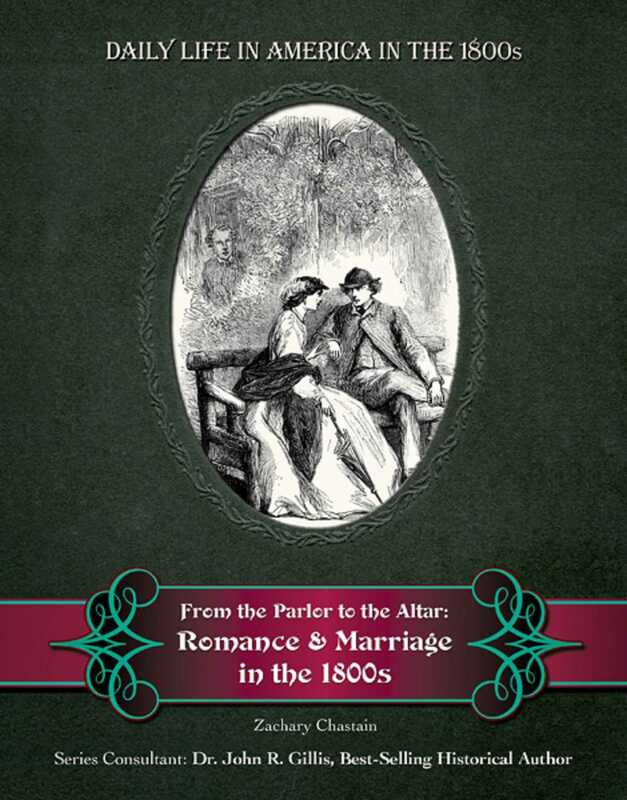 In the 1800s, most young men and women were bound by powerful traditions of family, church, and society that limited their choices in romance and marriage. As an economic and community-building institution, marriage options were traditionally controlled by the older generation. Marriages were often arranged by families, and the bride and groom's personal feelings for each other were much less important than they are today. But as in so many other ways, America was a new and more open society. Communities of people from different and diverse backgrounds were established in a new land, and young people came together in a freer, more open environment. Romantic love flourished in the America of the 1800s as it never had before, with a whole variety of courting and marriage customs, many of which we still cherish today.